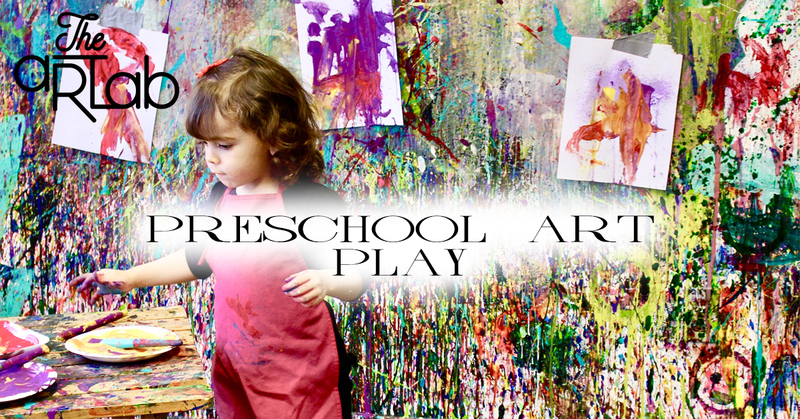 Every Wednesday come experience messy process play at The Art Lab! This is perfect for a first time art experience for the little artist and their parent/caregiver. Our workshop is all about processed based, colourful, artistic fun! Come dive into our world of mixing, pouring, touching, scribbling and exploring all the messy material we can find! Our playful and child-led approach allows children the freedom to explore the studio at their own pace. All participants will takeaway an 8×10 premium stretched canvas that they can paint any way they’d like.